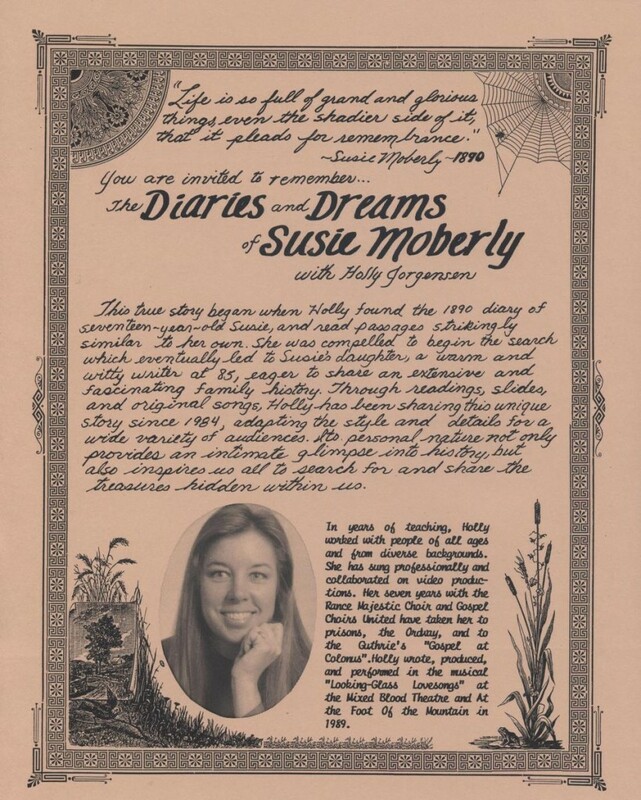 Meet Susie Moberly, a dear friend and inspiration from another world. 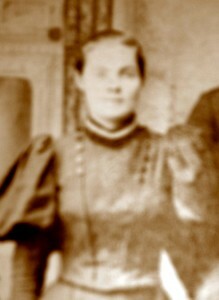 I found her 1890 diary in the old house where I lived after college, and was amazed at the connections between us. Years later, my curiosity led me to her daughter, Kathryn Brummond, who was thrilled to tell me wonderful stories of the extraordinary women in her family. In the years following this exciting discovery, our collaboration expanded on the intimate journal of a seventeen-year-old with the rich personal history of several generations. I look forward to posting special entries from Susie’s journals and her published poetry, along with some of Kathryn’s memories. Below is my old flier and an article from the Minnesota Women’s Press, for starters. I felt privileged to share Susie’s life with over 50 audiences. Were you in any of them? Did we encourage you to open your old diary? How does writing and reading a journal enrich your life?